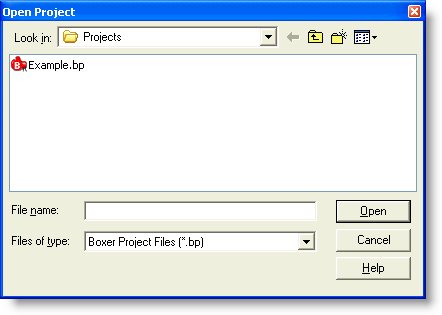 The Open Project Command is used to open an existing project file. When a project file is opened, all of the files named therein are open for editing. If you need to edit the content of the project file itself, use the Edit Active or Edit Other command, as may be appropriate.